Complete chassis repair on all major chassis. We honor all Major Extended Warranties. Luxury Coach Service honors all extended warranty plans. We are experienced and equipped to handle most any RV repair needs that you might encounter. 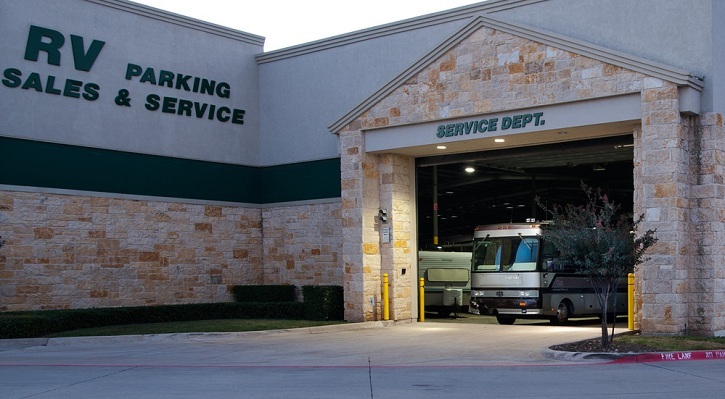 The team at Luxury Coach Service prides themselves on providing the highest quality RV Service and Repair work. As a result, we proudly stand behind the work we do for you. Our highly trained technicians have heavy experience in RV and boat repair work. Our technicians have been specially trained to work on the latest equipment as well as being experienced to service the classics. Our technicians use quality equipment in order to assure a top quality, long lasting job well done. Inside and out, bumper to bumper. Luxury Coach Service is ready to provide you with all of your RV Repair and Service needs. Luxury Coach Service provides service and repair for recreational vehicles such as motor coaches, campers, motor boats and other RVs. Complete RV Service for Dallas, Fort Worth, Rockwall and North Texas. We provide your motor coach service and RV service with the utmost care. We also provide onsite Motor Coach and RV storage and detailing of your motor coach and RVs. We are conveniently located east of Dallas in Rockwall, Texas. Being east of Dallas makes us a convenient location to access your motor coach without dealing with the aggravation of downtown traffic.